New Mexico Bowl tickets and packages on sale with PRIMESPORT, an Official Ticket Exchange Provider, VIP Hospitality & Fan Travel Package Provider of the 2019 New Mexico Bowl. Be there live with PRIMESPORT for the ultimate college football experience. PRIMESPORT is an Official Ticket Exchange Provider, VIP Hospitality & Fan Travel Package Provider of the New Mexico Bowl. Get your tickets today and be there live to see this must-see college football bowl game. Buy and sell New Mexico Bowl tickets safely and easily with other fans. 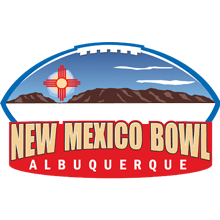 PRIMESPORT is an Official Ticket Exchange Provider of the New Mexico Bowl. The New Mexico Bowl has been played every year since '06. The football game is played at University Stadium, which is home to the University of New Mexico Lobos.